After escaping from the temple of Fyre, Drakon returns to his home to find only two people and a yellow dragon. He and the Old One learn as much as they can about the land at present. The lord of Sea Cliff Tower has gathered the remaining dragons at his keep. On learning the High Peaks Tower’s red dragon is with egg they arrange her escape and rescue her eggs. Now they must find a way to defeat their enemy and return the dragons to the other towers. Arana, sold by the temple priestesses to the slavers is bought by the lord of High Tower and made a part of the family. Before they are able to adopt her the lord of Sea Cliff Tower invades and destroys the family, taking her and her friend prisoner. Drakon is sold. Arana because she can speak to the dragons is made a slave care-giver. She saves a green egg and raises the green dragon. After helping the High Peaks Tower’s red dragon escape she is in danger and must find a way to escape. 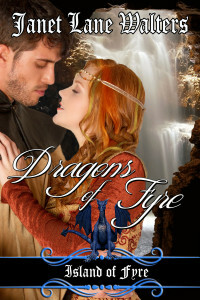 Her attempt to ride the green dragon succeeds and she arrives injured and ill. Once she recovers she and Drakon attempt to find a way to rescue the other dragons of Fyre. The College Admissions Scam: Should the students be allowed to keep their seats and reap the benefits of the crime?